Monday 25th April, 2016 marks one year since the 7.8 magnitude earthquake struck Nepal. 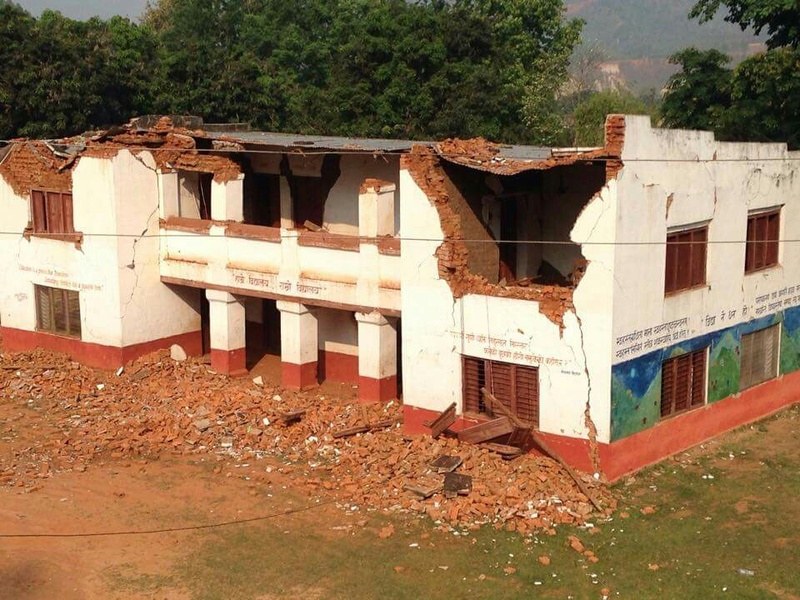 A second major earthquake followed on 12th May, 2015. Across the country people still talk about the disaster that left 2.8 million people displaced, including families who live outside the impacted regions. Nepal remains troubled by the ongoing struggle to rebuild and lack of visible progress. In the six months after the first earthquake, Empower Generation distributed 10,995 solar lights, mobile chargers and home systems across fifteen districts through our women-led network. With our supporters' generous donations, and work in partnership with organizations like Kopernik, disaster-relief campaigns like Rebuild With Sun, and many more generous global contributors, we achieved an impact far beyond what we imagined. However, as with many natural disasters like those in Haiti and Aceh, the immediate international support only goes so far and in many cases disappears as swiftly as it arrives. Nepal was pledged $4 billion from foreign countries and international agencies and, since the earthquake there have been no reports publicly on how much of that aid has transferred to Nepal and been spent. The only reliable relief spending from the government we've seen (according to an article by BBC News) is money offered to victims for clothes and corrugated iron ($250 USD) and compensation for the loss of family members ($400). In districts of Nepal like Nuwakot, where 24 year old solar CEO Manju Paudel of Manju Solar Enterprise lives, most people are still living in temporary shelters and crumbled homes. 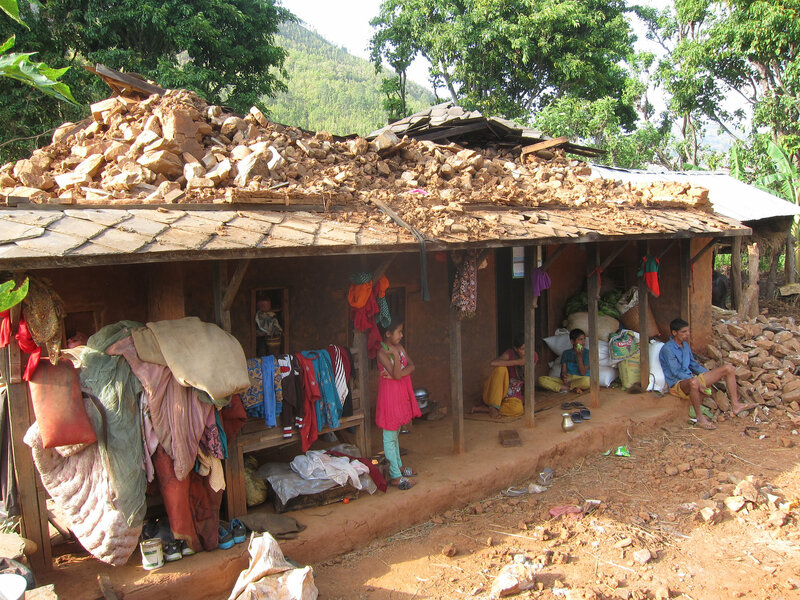 Few schools and homes in Manju's community have been rebuilt and very little aid has been received. The four month blockade at the Nepal-India border late in 2015 has been blamed for the relief inefficiency, though it seems silly to offer excuses while while millions remain homeless. 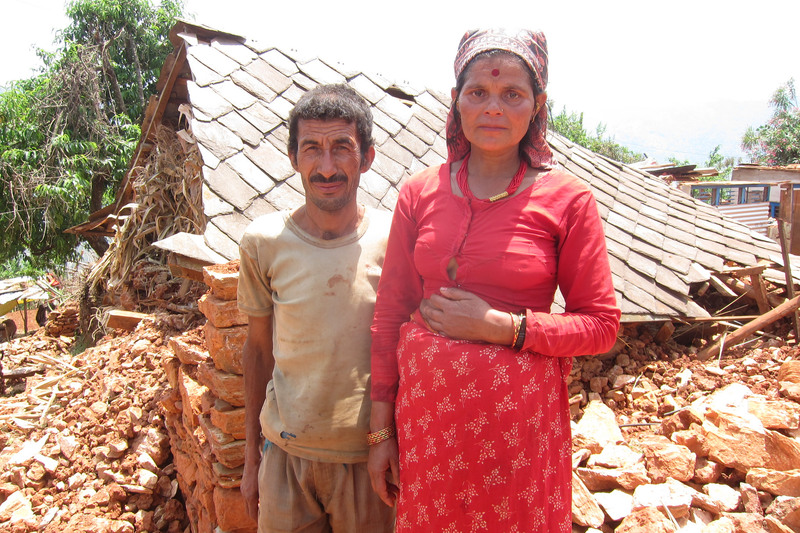 Manju's three-story home was completely destroyed in the earthquake, leaving her and her extended family, sleeping among their cows and goats in an open area amongst the rubble. 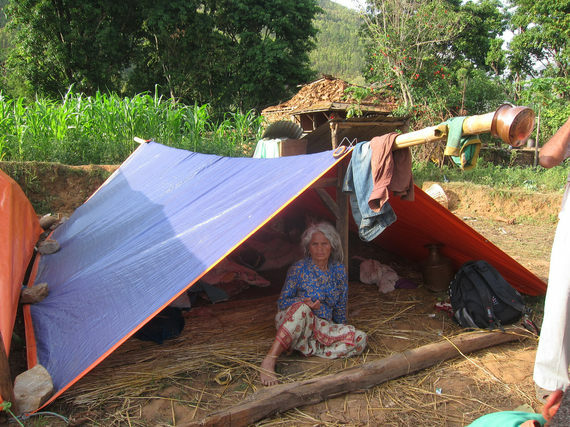 Losing her home meant losing storage for rice, grain, and corn harvested before the earthquake. Unable to provide storage meant the family's food supply for the months ahead rotted. The one year anniversary is an especially scary time for Manju, "We are fearful what would happen and how we would survive if another earthquake with the same impact hits again," she says. "People all around us lost homes built with their hard earned money. 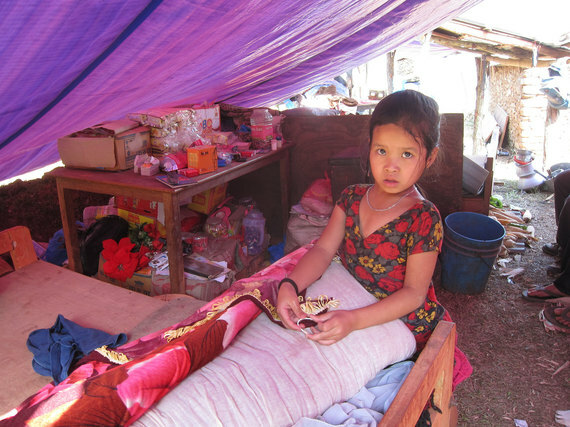 It is very sad to see everyone struggling and living in tents this long after the earthquake." Empower Generation co-founder and Country Director, Sita Adhikari says the aftershocks still felt today are a constant reminder of the big one. "Both physically and psychologically we are still insecure, people are living in temporary settlements and have not received a sustainable solution, only a bit of immediate relief," Adhikari says. For many people in and outside Nepal, as the devastation turned to rebuilding it was seen as an opportunity to form a more resilient Nepal, stronger than it was before the earthquake, with everyone prepared for the future no matter their social status or location. Unfortunately, this larger opportunity now seems lost except by the local NGOs and community-based organizations doing their best to make a difference. In remote communities, where some of the poorest in Nepal live, Empower Generation has provided a positive impact by expanding our women-led distribution network. To distribute solar in Taklung, Gorkha (near the epicenter of the earthquake), our team walked eleven hours after the road became completely inaccessible for a truck. To ensure a lasting impact in this remote community, this year Empower Generation, funded by Unitarian Universalist Service Committee and with the support of our local partner, the Association for Dalit Women Advancement of Nepal is starting two women-led solar enterprises and training 30 Dalit (untouchable caste) women to work as solar sales agents. Back in Nepal's capital, Kathmandu the ordeal of the first earthquake which toppled buildings and took lives is an ongoing trauma for Empower Generation's Financial Officer, Sitaram Paudel. He admits he is still scared when he thinks of the earthquake and, while it's been a year, he is reminded of the weeks spent struggling, sleeping outside on the ground with his seven-month-old daughter. Sitaram estimates only 30% of those affected in Nepal have recovered from the quake and the continuing rumors of another major earthquake creates constant panic. 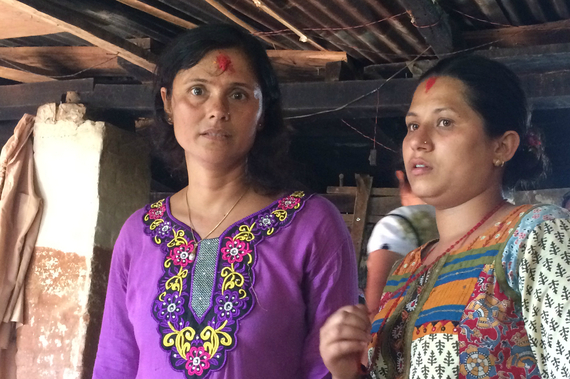 Kabita Subedi, a Program Coordinator who makes frequent field visits for Empower Generation, regularly spends time with victims of the earthquake. She says Nepal was beautiful earlier, but now all she sees are people full of sorrow and children suffering because their parents passed away or they are homeless. The reality is many people in Nepal still have a dark future. Nepal was already one of the most energy poor countries in the world and last year's devastating earthquake set back its development by decades. We know people are living in tents still, and girls and women are suffering, and we know there are areas where no schools have been rebuilt and there's little hope of that. This sobering time of reflection only reaffirms Empower Generation's commitment to bringing energy access to remote communities and empowering women to become business leaders in Nepal. Empower Generation is a social enterprise operating in Nepal since 2011 that starts and supports women-led businesses distributing clean energy solutions.